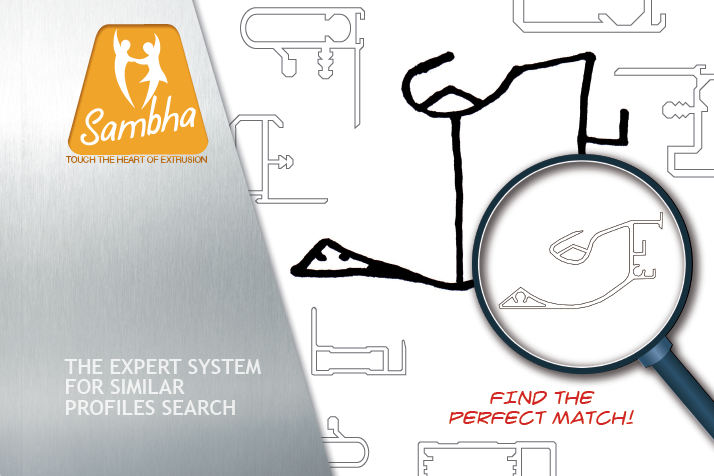 Sambha is the expert system for similar profiles search. You just have to open the web application, upload your handsketched image, jpg, png, bmp, wmf, dxf, dwg, hit “search” and Sambha will look for you in a database of thousands of digital files. In a few seconds, you will obtain a list of all similar profiles that Sambha found, ordered by similarity degree, with instant access to the original files. Only a few seconds to find similar profiles and related projects, searching in a digital archive with thousands of profiles and 2D sections. Automated and safe system that works without the aid of the personal memory of your staff. An essential help for feasibility analysis. You can immediately get to know if a profile has already been realised and guaranteed: no more mistakes or doubts. Sambha – The Expert system for similar profiles search from Sambha – SW on Vimeo. Click here to go to Sambha website!